The New Texas Symphony Orchestra is beginning its 15th year of presenting a season of entertaining concerts for music lovers. Our 2018-2019 season, SNAPSHOTS is no exception. Join us for Sundays at the Symphony, an afternoon of great orchestral music presented at the Moody Performance Hall in the Dallas Arts District. Our concerts are all open seating so the best seats in the house can be yours! Take a trip to outer space with NTSO! The Planets by Gustav Holst is more about astrology than astronomy. In Holst’s symphony each of the movements reflects the astrological character of a planet. Angry and ominous, Holst’s first movement represents the Roman god of war, Mars. The cool blue Venus follows angry red Mars. The music is slower and beautifully eerie. 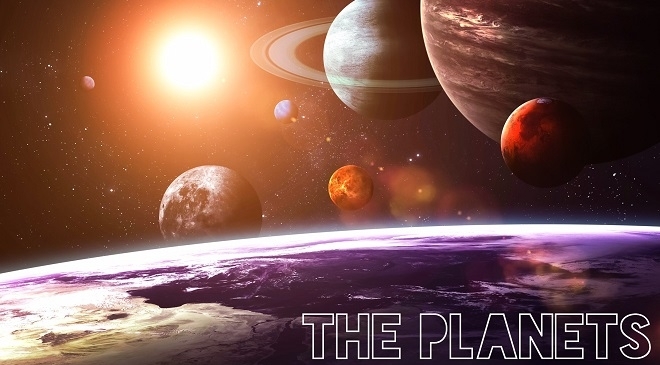 Join us at the concert and experience the personalities of the other planets in all their musical uniqueness accompanied by dramatic images of outer space provided by NASA. Earth does not appear in the symphony, but it will be represented in the lobby by Green Dallas. There will be exhibits about the critical environmental issues facing our planet with ways we can help. The concert also features the Hebrides Overture by Mendelssohn and The Muse and the Poet for Violin, Cello and Orchestra by Saint-Saëns with guest artists from the Dallas Symphony Orchestra, Jolyon Pegis and Maria Schleuning.